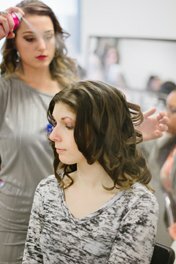 Our cosmetology school has been producing successful beauty professionals for over 35 years. In our new, state-of-the-art facility in Stroudsburg, Pennsylvania, we aim to bring our students’ experience to the next level. Take the first step towards your dream, enroll today! When considering the cost of tuition, it is important to remember that you are not only paying for an education, but also investing in your future. We strive to advocate for each student with a desire to learn and grow. Federal financial aid is available to those who qualify. 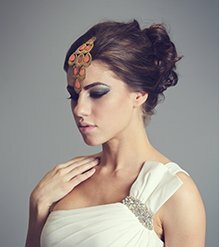 Each instructor has been hand-selected to deliver the high standard of education that The Beauty Institute is known for. Meet the Stroudsburg team! Our beauty school’s vision is your success. Speak with a career advisor today to learn about scholarship opportunities. Our facility at The Beauty Institute | Schwarzkopf Professional looks and feels like a high-end salon. The walls at our cosmetology school in Stroudsburg are as modern, attractive and functional as the skills taught within them. Our students put the lessons that they learn in the classroom to practice every day in our top-rated student salon. We aim to train our students to deliver a five-star client experience each and every time. Our graduates complete our programs with the technical skills, business savvy, client base, and connections for success in the beauty industry. Being a part of The Beauty Institute family even opens doors after graduation with access to networking opportunities with alumni and nearby salons. To learn more about starting your rewarding and exciting cosmetology journey, fill out the form above or call a Career Advisor today at 570-234-9191! Save up to 51% on haircut, conditioning, and coloring with one of the following options! Revamp your style and nourish your hair at our highly-rated student salon! Our students and staff are equipped with the knowledge and skills to perform even the most advanced hair trends and styles. Choose from services like haircuts ($15), single-process color or partial highlights ($37), or full highlights with toner ($42). All services include a haircut, deep conditioning treatment, shampoo, and blowout. This has been and continues to be one of the most intriguing learning experiences of my life. The atmosphere is inviting, and the teachers are great! I am so eager to get out there and start my career because they’ve taught me so much in such a short time with PASSION. I live for this trade, look forward to school, and the staff is the icing on the cake. The Beauty Institute has been a HUGE step in my life. As a student who only got her GED, I felt like I couldn’t handle school, but The Beauty Institute was different. They have SO much respect for their students! The teachers and staff only want to see you succeed and be happy with your dream! I couldn’t find a better school to fulfill my lifelong dream of becoming a cosmetologist! Each year, our students have the opportunity to showcase their talent in a live fashion show-style Student Soiree! This completely student-produced event is the perfect chance to see your work come to life on the runway. Our annual Student Competition is a unique jumpstart to your portfolio while you are still in school! 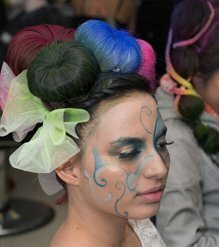 Our students get the chance to gain national exposure and get their work in front of beauty industry professionals while competing in a students-only category. Our students’ work speaks for itself. Enroll to join and learn how we nurture and help you to unleash your own creativity!